Here is the trailer from A QUESTION OF FAITH. The film is directed by Kevan Otto, starring Richard T. Jones, C. Thomas Howell, Kim Fields, Renée O’Connor. 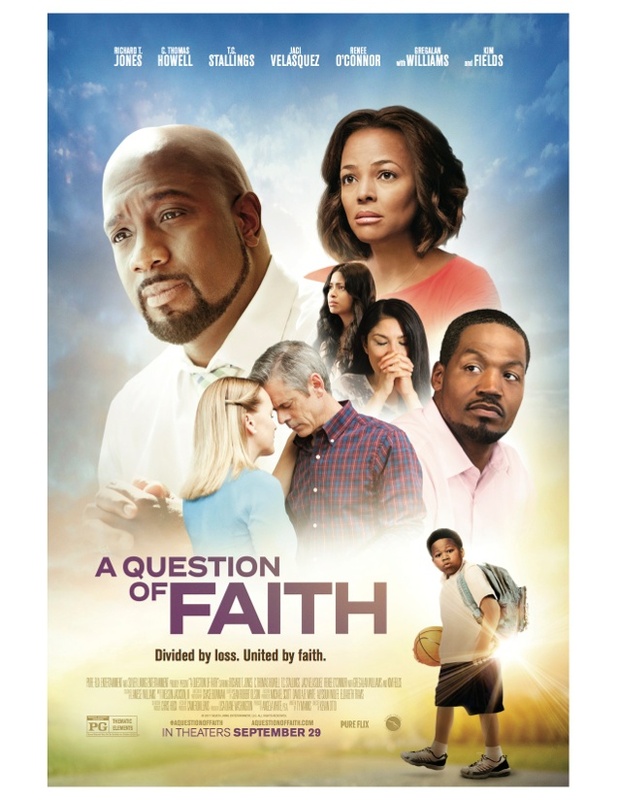 A QUESTION OF FAITH hits theaters September 29, 2017. Here is the trailer from the upcoming film LIFE OF A KING. The film is directed by Jake Goldberger, starring Cuba Gooding Jr., Malcolm Mays, Richard T. Jones, Paula Jai Parker, Carlton Byrd, LisaGay Hamilton, Dennis Haysbert, Kevin Hendricks, Pepi Sonuga, Jordan Calloway and Rachel Thomas. Millennium Entertainment will release LIFE OF A KING in Theaters and on Premium VOD January 17, 2014. Life of a King is the unlikely true story of Eugene Brown and his one-man mission to give inner-city kids of Washington D.C. something he never had – a future. He discovered a multitude of life lessons through the game of chess during his 18-year incarceration for bank robbery. After his release and reentry into the workforce, Eugene developed and founded the Big Chair Chess Club to get kids off the streets and working towards lives they never believed they were capable of due to circumstances. From his daring introductory chess lessons to group of unruly high school students in detention to the development of the Club and the teens’ first local chess competitions, this movie reveals his difficult, inspirational journey and how he changed the lives of a group of teens with no endgame.